for eight years now, have triumphantly merged elements of Ukrainian and Polish culture through jazz, electronic and world music. Their debut record ‘Maleka’ won massive acclaim from the media and from cultural opinion-makers, and it was championed by Polish Radio 3. Dagadana were nominated for the Fryderyk 2011 award (Polish Grammy) in two categories: World Music Album of the Year (which it won) and Phonografic Debut of the Year. Their second album ‘Dlaczego nie’ was nominated for the 2012 Fryderyk in the World Music category.The third record ‘List do Ciebie’was warmly praised in both musical and literary circles. Latest album “Meridian 68” (2016), recorded with guests from China hit #48 at prestigious World Music Charts Europe, #14 at Transglobal World Music Charts and it has just been nominated to Polish Grammy Award “Fryderyk” in “Roots Album of the Year” category”. This album will be also released in China in 2017 and Western Europe bei JARO November 2017. 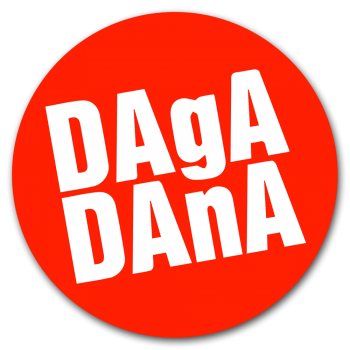 DAGADANA has performed over four hundred concerts in Algieria, Austria, Brazil, Bulgaria, China, Czech Rebublic, France, Germany, Hungary, Indonesia, Malaysia, Moldova, Morocco, Poland, Romania, Serbia, Singapore, Slovakia, South Korea, Sweden, United Kingdom and Ukraine. At the heart of the new album are folk songs from Poland and Ukraine. DAGADANA found their inspiration in many sources: amongst their families and friends, at ethnic music workshops, as well as on their friends’ and families’ bookshelves. This Chinese adventure is referred to in the record’s title: Meridian 68 “The 68th Meridian is exactly midway between Czestochowa and Beijing, the places where we recorded the songs. It runs through many fascinating countries. I wonder if we’ll get to play in some of them one day?”, muses Dagmara Gregorowicz. The album’s artwork is amazing too and refers to the band’s journey. Both on the cover and inside there are beautiful illustrations by the Ukrainian icon artist Olya Kravchenko.